Since its official opening on January 3, 1968, Edmonton’s Kinsmen Sports Centre has been the home away from home for hundreds of high performance athletes and fitness-minded Edmontonians. It’s also been a venue for some of Canada’s most high performance sports competitions taken in by visitors from across Canada as well as local athletes. Displays, Preliminary Concepts and Presentations at 5:30 & 7:30 p.m. This is the second open house at the Kinsmen Sports Centre. Back in February of this year, the City embarked on the development of a Kinsmen Master Plan. 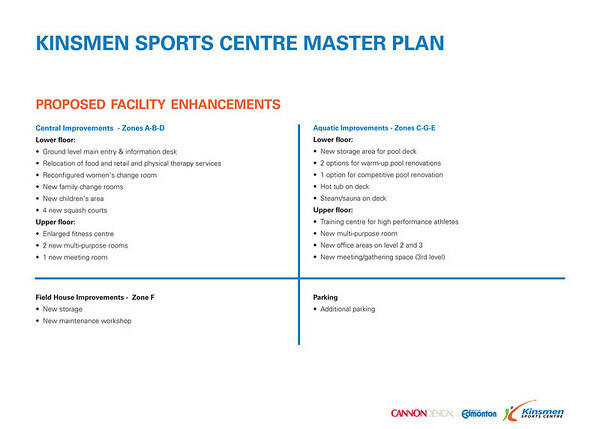 The plan will outline the future of the Kinsmen Sports Centre, including possible renovations to the facility. 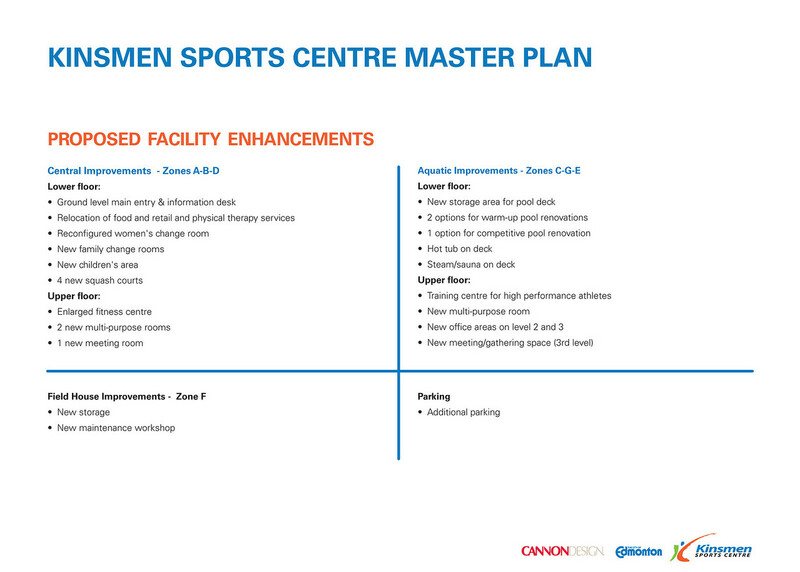 In developing the plan, the City asked the public for its ideas and thoughts on what changes would make the Kinsmen Centre an even better facility. 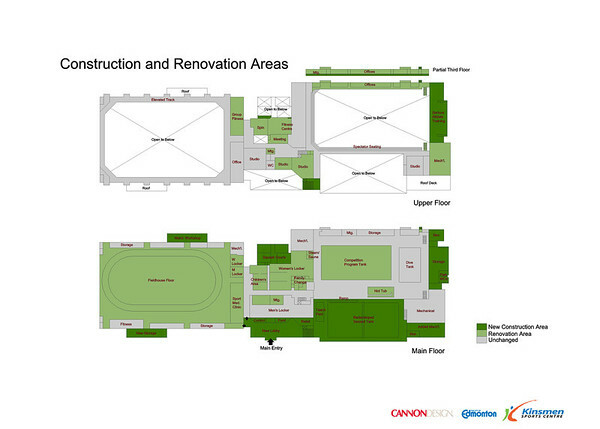 Consultants, Canon Design, took the information received through an Open House, as well as an online survey, and have recommended the following enhancements that can be seen in the design concepts provided. The City of Edmonton is now once again asking the public to weigh in on the proposed enhancements. These are only proposed concepts and are not final. The public can view the design concepts and provide feedback through an online survey at www.edmonton.ca/kinsmensurvey or they can attend the May 31st public open house. For more information on Edmonton’s Kinsmen Sports Centre Master Plan and to fill out the survey online please visit www.edmonton.ca/kinsmensurvey. The survey will be available online starting May 31 until 4:00 p.m. June 7. Kinsmen Centre is your facility, and you are encouraged to take part in deciding its future.